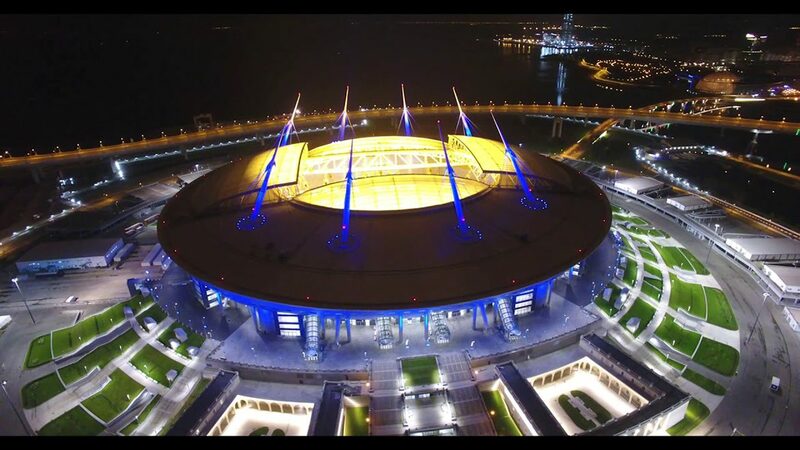 It is the most interesting and unsurpassed stadium, which belongs to the category of long-term construction – is “St. Petersburg”. 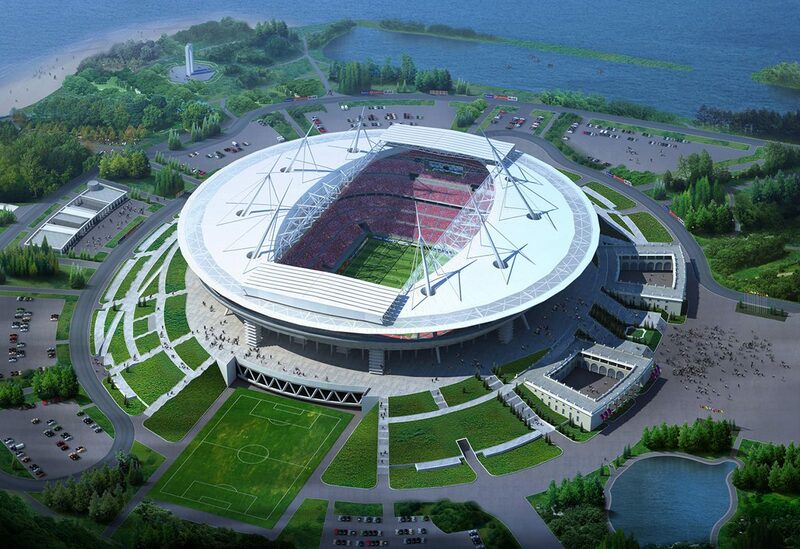 This building will be one of the main football grounds for football matches World Cup 2018. This building is the most expensive regarding construction issues. At the same time, it is distinguished for its innovation and modernity. The unique solution about the roof allows you to conduct various tournaments in any weather. Consequently, weather conditions do not contribute to the growth of grass. It will also be possible to hold various events without worrying that the field will be damaged. The arena looks like a ship in its appearance. The highlight is attached to the masts, which harmoniously rise above the roof. The construction of the stadium began with the decision to demolish the old building. Kirov. This was planned in 2005. 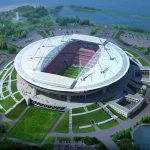 It was assumed that the stadium will accommodate 51,000 fans and cost $ 150 million. The last match before the construction of the new arena was held in 2006. To the long-awaited matches of the upcoming championship “St. Petersburg” is ready completely. It meets all international requirements regarding capacity and safety. 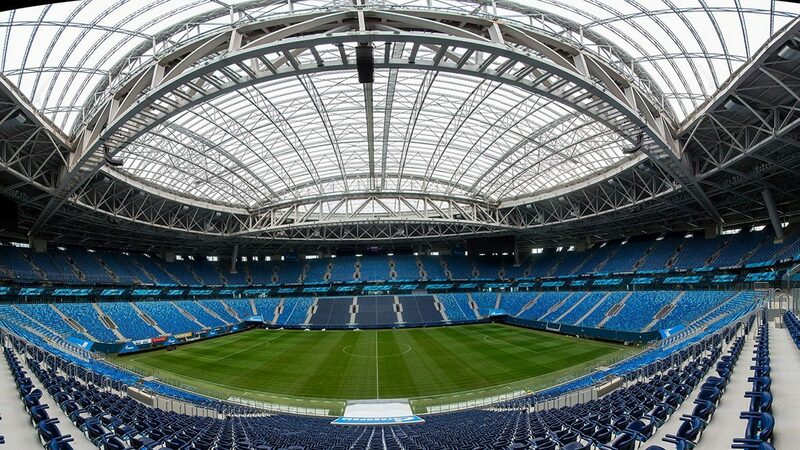 It is equipped with a modern video surveillance system, which allows you to track the passage to the stadium of fans and the availability of their possible prohibited items. In addition, the arena has the most up-to-date fire-fighting system, which is automatic and alarm. For people who have limited opportunities, 560 seats are equipped. There are also ramps, vestibules, storage rooms. In 2010, it was decided that the name of the arena will be received after it is put into operation. In the same year, the construction was redeveloped and the number of seats in the stands increased. 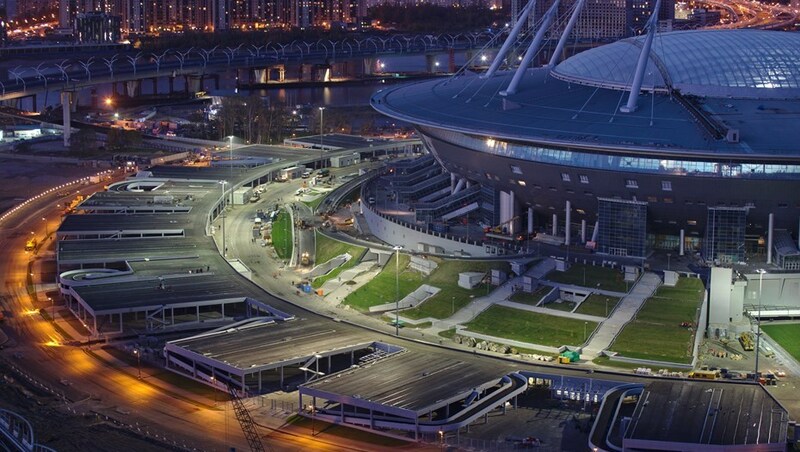 In 2014, local authorities rejected the proposal for the name of the stadium. Kirov. In 2016, it was decided to name the stadium “Krestovsky” in view of its location. After that, a poll of residents was held, which voted “for” such a decision – 30.3%. In 2017, the stadium became known as the “St. 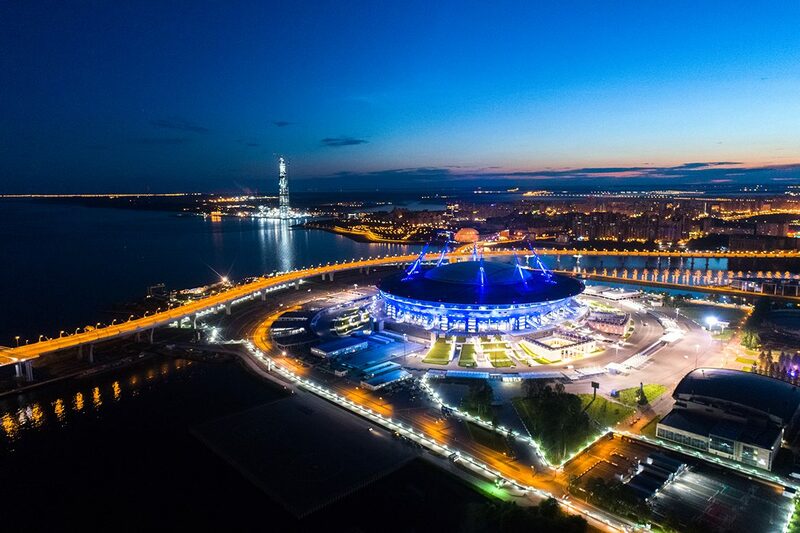 Petersburg Arena”. This name will be preserved at the 2018 World Cup. 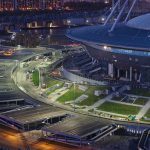 The first match at the stadium was held in autumn 2016 between the teams of city builders and Metrostroi. 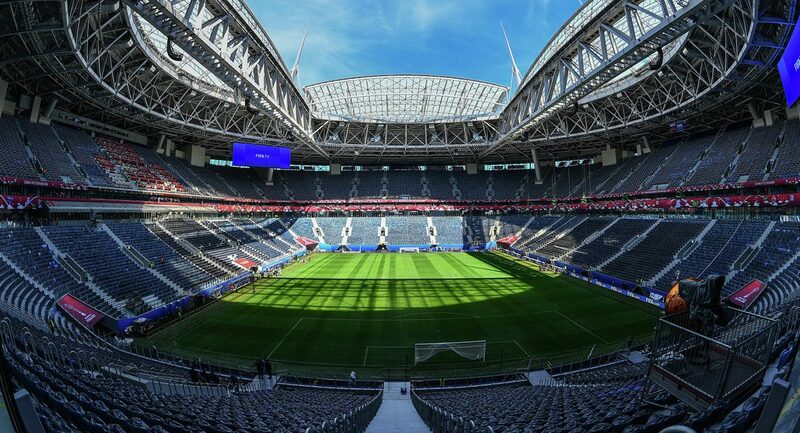 In the same year, the FIFA commission decided that the retractable field does not correspond to the vibration indices and exceeds them sevenfold. 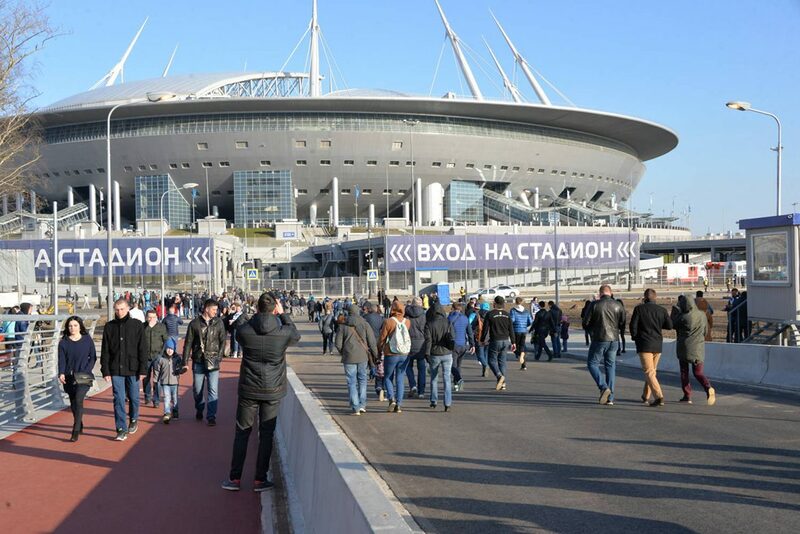 The first official football match took place in April 2017 between Zenit and Ural. The game ended 2: 0 in favor of the owner. After that, the soccer lawn was re-laid, which completely corresponded to the norms. 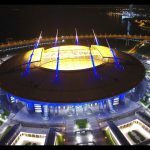 In the summer of 2017, when the Confederations Cup was held, there were problems with the elevator and the roof of the stadium. However, these problems were quickly eliminated. “St. 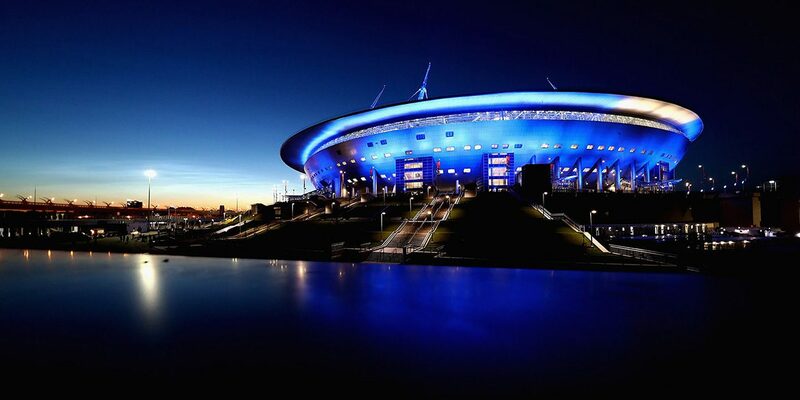 Petersburg” is one of the most expensive stadiums. 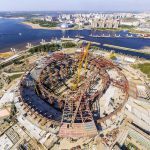 It was planned to spend 6.7 billion rubles on its construction. But in fact this amount was 48 billion. Very often the date of putting the stadium into operation was postponed, that’s why the amount for construction was increased. With this, many interesting facts are connected with the new stadium. So, consider them in more detail. Initially it was planned to put the stadium into operation in 2009, however, the terms were constantly shifted and this lasted for 8 years. 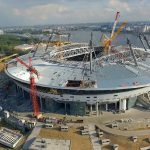 The cost of construction is less than Luzhniki and Wembley in England, but much more than the Allianz Stadium (the home stadium of the Italian Juventus team). Thus, the stadium is one of the most expensive in the world. “St. 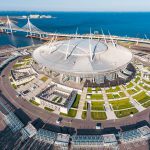 Petersburg” will host the matches of the European Football Championship in 2020. With the same capacity in the world, there is no mushroom stadium that would cost at least $ 1 billion. In 2016, only a total of 1960 observations were submitted to the builders. The roof of the stadium is capable of withstanding 26 tons of snow. About 6,000 people were involved in the construction. During the construction work, 5 workers died. 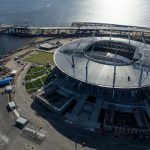 Construction cost exactly 3 times more expensive than the construction of the “Opening of the Arena”. 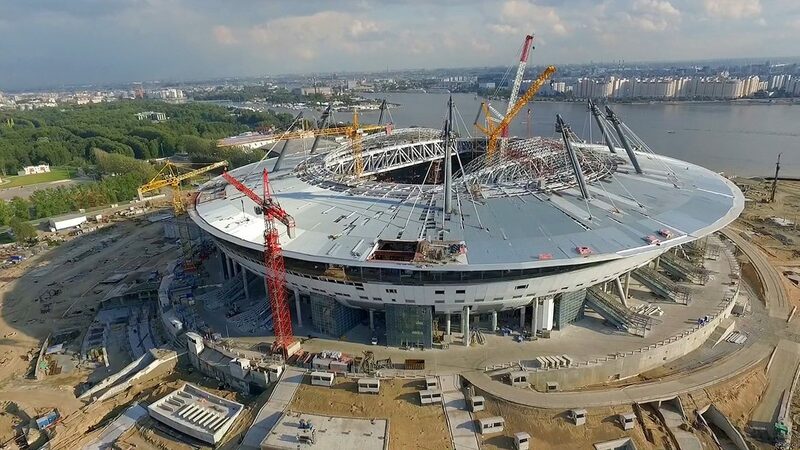 Operation of the stadium per year will cost about 200 million rubles. In 2016, the ex-vice-governor was charged with fraud during the construction of a football match building. 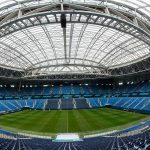 Zenit will pay one ruble per year for renting the stadium. In the very cup of the building it will be possible to maintain the temperature 21 degrees throughout the year, regardless of the temperature on the street. 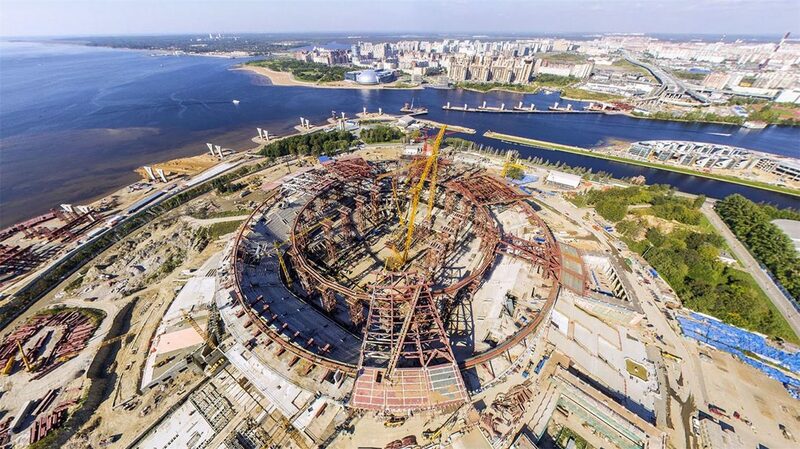 In order to eliminate excess vibration, it was spent 120 million rubles. 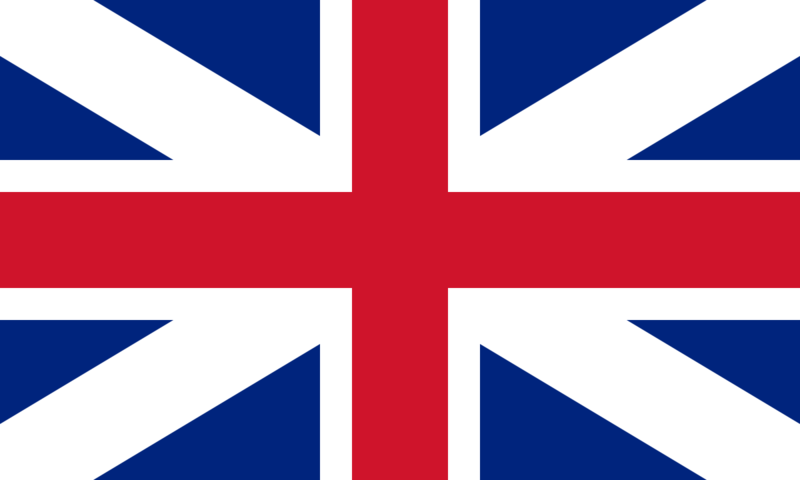 It is the largest arena in the whole of Europe. The planned service time of the stadium is 500 years. 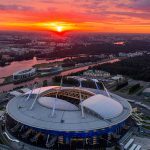 On the eve of the World Cup 2018, all visitors are interested in the issue not only of their security, but also the conditions for visiting the stadium in order to have a great time and watch a football match. 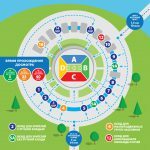 So, knowing the following conditions for visiting the stadium and rules of conduct on it, you can perfectly and safely spend time. Carry out various actions (including illegal ones), which create a danger for the surrounding people. Throw objects in spectators, players, judges. Violate the rules of public disorder, revealing their intimate body parts. Go to the stadium with animals. Exceptions are guide dogs with the presence of documents on the vaccination of the animal. Carry to the stadium: any type of weapon that poses a danger to the environment; explosive, flammable, poisonous substances; pyrotechnic products, firecrackers, firewalls; sound devices that distract players from the game (including vuvuzels); alcoholic substances, narcotic drugs, stimulants and other drugs that promote stimulation; propaganda attributes; Great objects that will interfere with other fans; drinks in glassware or plastic (volume more than 0.5 liters). Carry out a different type of trade. In order to not miss the upcoming match, it is recommended to come to the stadium in advance. It is necessary to have a ticket and a document that proves the identity (presented on demand). Are taking places, according to the tickets purchased. With you you can bring personal things and items to support your favorite team. For dimensional items there are special storage rooms. 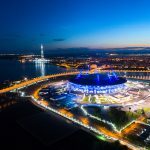 If the rules of staying at the stadium are not respected, the visitor may be expelled from the stadium or, worse, held accountable under the current legislation. 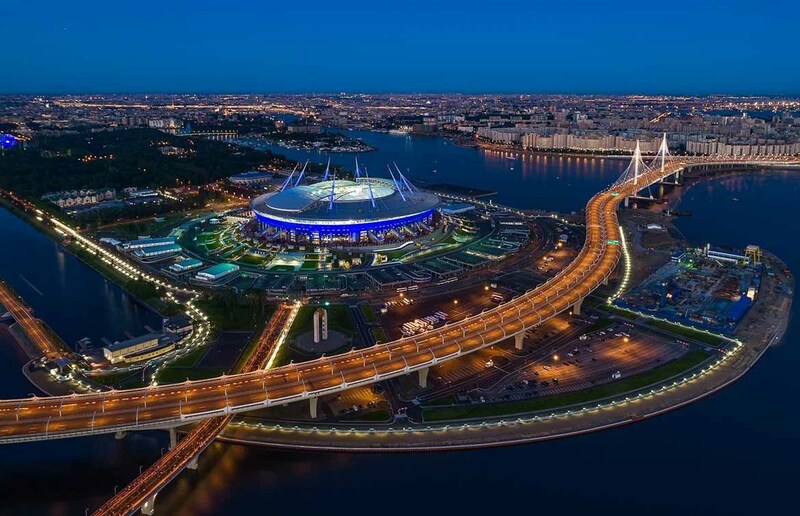 Location: the city of St. Petersburg, the former location of the old stadium. Kirova, the Krestovsky Island. Purpose: sports, as well as various entertainment events of any scale. Area: 287 thousand square meters. 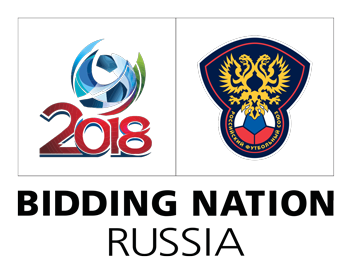 The number of seats in the stands: 51,196 people; for the World Cup – 68 172 seats; for the period of concert events – 80 000 spectators. Number of parking spaces: 240 in the stadium and 2,732 in the adjacent area. Number of press room days: more than 2,000. Number of places for people with disabilities: 560, of them – 266 places for people who move by wheelchairs. Location of the stadium “St. Petersburg” is quite convenient. It can be reached by various means of transport. This is due to the fact that the new stadium is located in the old place of the old structure. The place has been chosen more than successfully, here the infrastructure is sufficiently developed and it is possible to get to the object from all corners of not only the city, but also the country as a whole. Metro. It is best to get to the arena “St. Petersburg” by metro. The nearest metro station was Krestovsky Island. However, walking a few steps from it to the stands is not so fast (about 25 minutes). 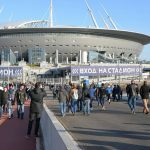 Therefore, it was decided to build a station “Novokrestovskaya”, from which fans can safely share a walk to the stadium in just 5 minutes. Bus. There are 10, 14, 25, 25-A routes to the stadium. Shuttle buses. Routes S3, S4, S6. Tram. Near the stadium are tram routes 19, 48, 48-A. On foot. A very convenient mode of transportation for those who like walking in the open air. 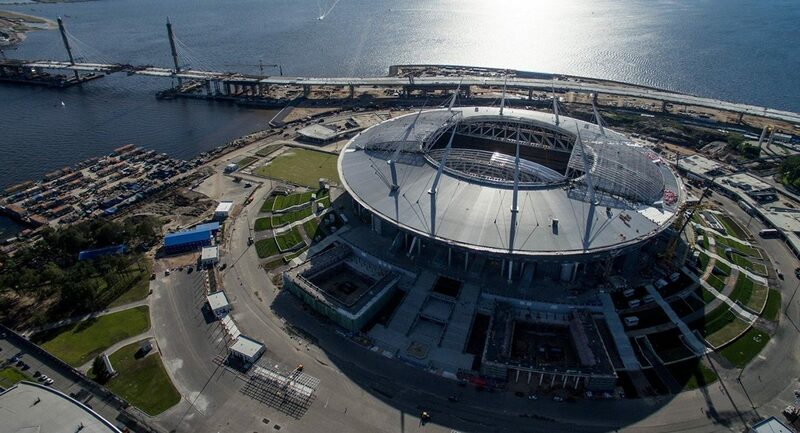 It is for this and there is the Yacht Bridge, which will lead the fans to the stadium. The car. It is not recommended to get to the stadium and personal transport. Movement before the matches will be limited, and parking in nearby parking lots is prohibited. In the case of parking a vehicle in an unidentified place, it is subject to evacuation. Visitors have the opportunity to purchase season tickets for parking in the stadium. People, who visited the stadium after its opening, positively respond to the new arena. In addition to the sports complex, this is a unique structure, which, at first glance, has nothing special. However, gives the stadium an originality form in the form of a spaceship. It looks especially beautiful in the evening. 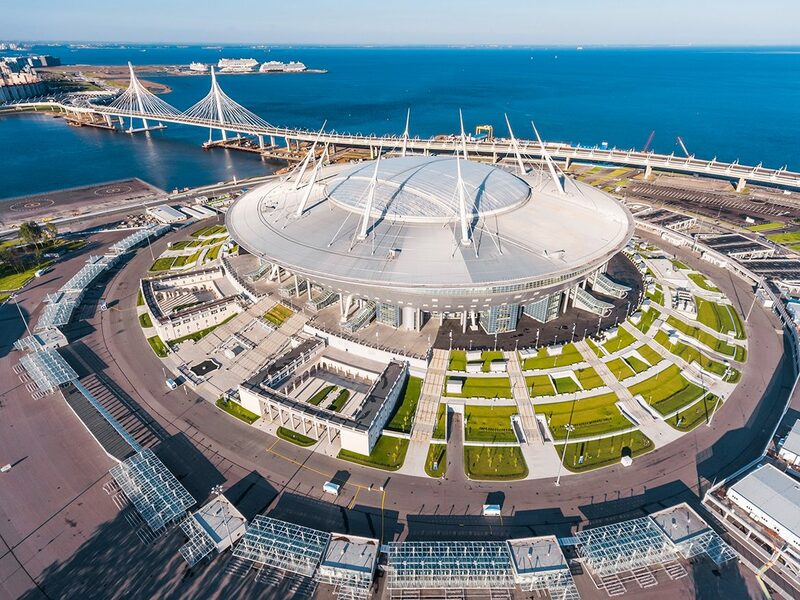 Before the championship itself, the stadium holds excursions for tourists who can feel the chic atmosphere of the new arena.